MTV is getting a big reboot, and though it’s not quite returning to the old music video days—and it probably never will—a new Adweek profile of network president Chris McCarthy reveals that it will be going back to the old Total Request Live days, at least. 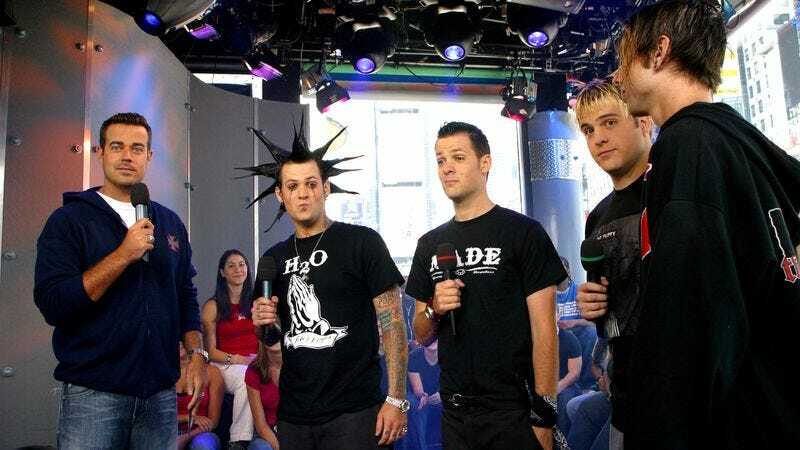 It’s not bringing that specific show back, mind you, but it is giving the whole “live” thing another chance in the form of a new daily live show that will be broadcast from the old TRL studio in Times Square. The Adweek piece says the show is tentatively called MTV Live, and it’s set to debut on June 12. We don’t know many specifics, but MTV Live will include “a mixture of music and other elements,” and it should air live for about three or four hours every day. McCarthy hopes it will allow the network to return to its rightful place of “not responding to [culture] but driving it” by staying on top of trends and recognizing what MTV viewers do and do not want. As Adweek explains, McCarthy has been systematically going through Viacom’s MTV-related networks and revitalizing them, first MTV2, then Logo, and VH1, so he seems well-suited to do the same for the flagship station. Also, he’s the guy who made Rob Dyrdek’s Ridiculousness into a two-hour live show, and he spearheaded the campaign to turn the MTV Movie Awards into the MTV Movie & TV Awards.